I’m reminded daily that my childhood was creatively unique, but at the time it seemed routine. I shot black and white film, processed and printed my own work—entered and won international adult print competitions, all while in elementary school and junior high. But as a kid, I didn’t realize that I was being mentored by the Chief of the Office of Photography for the Smithsonian Institution — he was just my Dad — a man with a passion for photography, and a man who seemed good at almost everything he touched. 18 months ago, I removed my PR firm’s shingle from the door (so to speak), to begin pursuing photography professionally. Up to now, it has been a passion, not a profession. My public relations and creative firm, served Fortune 500s and small businesses alike for over 20 years, but this is a new chapter, quite like picking up where I left off. And although my Father is no longer here to share his wisdom, I plan to share the timeless truths he so generously passed down. I was born in Washington, D.C., and first visited the western U.S. as a child while traveling with my Dad on three of his photography workshops. I will never forget the feeling as I stared in disbelief at the amazing rock formations in Arches National Park, and the magnificent geothermal features in Yellowstone. I vowed to one day move out west, and that opportunity arrived in 2007. With a Nikon and two Labs, I frequently take road trips in my Toyota 4Runner, criss-crossing the state, and exploring nearly every dirt road I discover. The west is an amazing place in so many ways. Its people are brilliant and fiercely independent, and the vast amount of open space and rugged terrain is as hostile and unforgiving, as it is beautiful and inviting. The western U.S. is photogenic, inspiring, and deeply profound. The skies are endless, the nights are magnificently dark, the connection with nature is visceral, and the adventure never ends. Photography and cinematography provide a way for us to capture and relate our compelling moments. A way to rewind and relive our experience – a way to tell our story. I believe that living in-the-moment, creates mindful, deliberate awareness of our individual experience. Real, raw, honest, moving, inspiring — find your voice, tell your story. 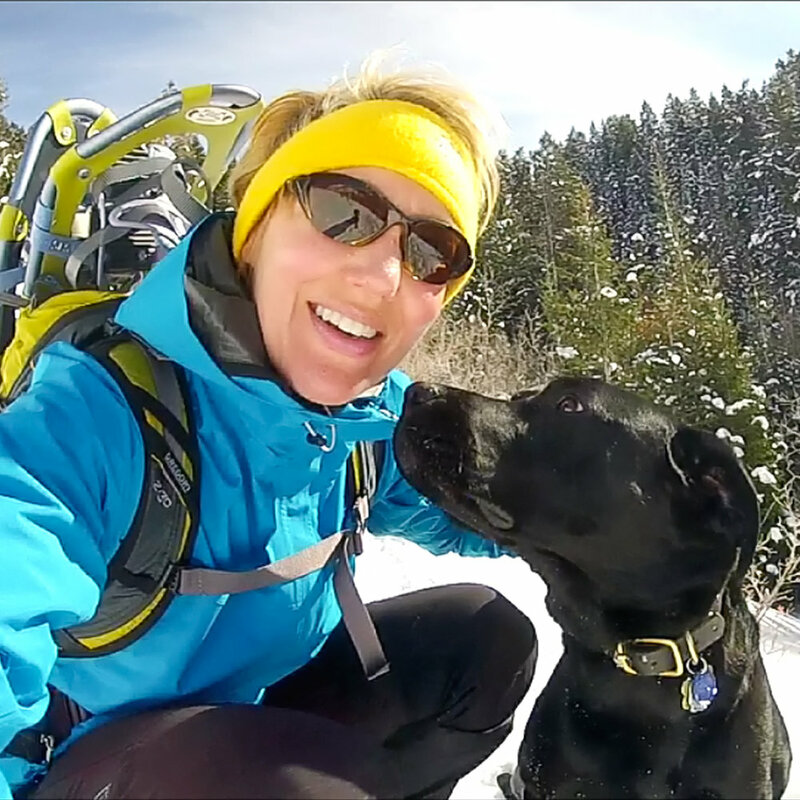 Christine road trips with her faithful Labs Tuffy & Aspen on most of her adventures.